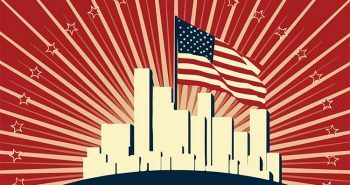 Aleksandr Solzhenitsyn spoke like an Old Testament prophet when he warned America and all the Western world that it was imperiled because it had forgotten God. 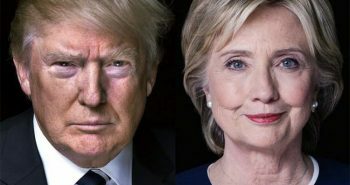 It proved to be a message that people did not want to hear. Accordingly, Solzhenitsyn died as a prophet without honor. Solzhenitsyn was a Russian novelist, historian and short story writer who was born in 1918. He was an outspoken critic of the Soviet Union and Communism, and he helped raise global awareness of the inhumanity of the Soviet regime. Solzhenitsyn grew up in poverty. His father was killed in a hunting accident shortly after his wife’s pregnancy was confirmed. Solzhenitsyn’s mother never remarried. She was an educated woman, and she encouraged her son’s literary and scientific education. 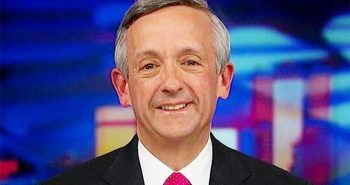 She also raised him in the Russian Orthodox faith. During World War II, Solzhenitsyn served as an officer in the Red Army. He began to develop growing doubts about the moral foundation of the Soviet government when he witnessed repeated war crimes by the Soviet army against German civilians. 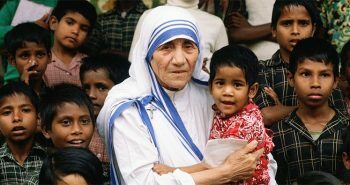 Elderly people were tortured and looted, and young girls were gang raped to death. In February of 1945, while serving in East Prussia, Solzhenitsyn was arrested for writing derogatory comments in personal letters about Stalin and his conduct of the war. He was charged with “anti-Soviet propaganda” and was sentenced to an eight year term in a labor camp. Solzhenitsyn’s terrible experiences in the Gulag convinced him to completely abandon Marxism, and he began to return gradually to his early Christian faith. In 1956, Nikita Khrushchev delivered his famous “secret speech” to a closed session of the 20th Congress of the Communist Party of the Soviet Union. In the speech, Khrushchev denounced Stalin as a brutal leader and then proceeded to provide a litany of many of his crimes. This speech launched a period of “de-Stalinization” that included a thaw in the censorship of literature. As a result, Solzhenitsyn was freed from exile. He took a position as a secondary school math teacher and continued his research and writing about the Gulag. 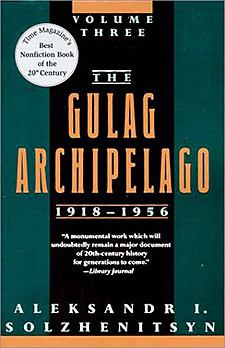 Solzhenitsyn’s most famous book, and his tour de force, was The Gulag Archipelago, written between 1958 and 1967 and published in France (in Russian) in 1973. 6 It was a three-volume, seven part detailed historical exposé of the Soviet forced-labor prison system. The publication of this book was the last straw for the Soviet government. 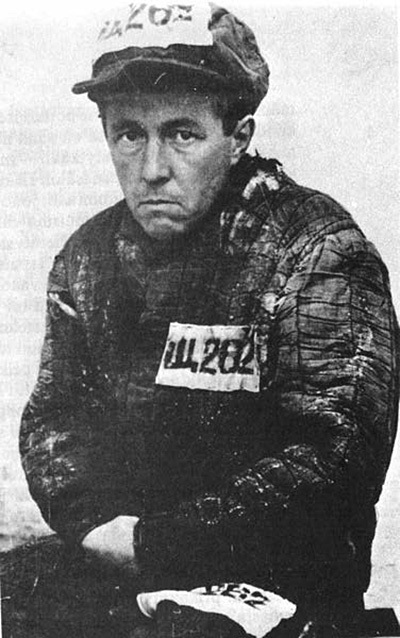 In September of 1974, Solzhenitsyn was arrested and deported. In the process, he was stripped of his Soviet citizenship, becoming a stateless person. He went first to Cologne, Germany and then to Zurich, Switzerland. 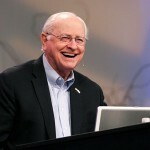 In 1975, Stanford University invited him to move there where he lived on campus before deciding to move to Cavendish, Vermont in 1976. He remained there until 1994 when he returned to Russia. 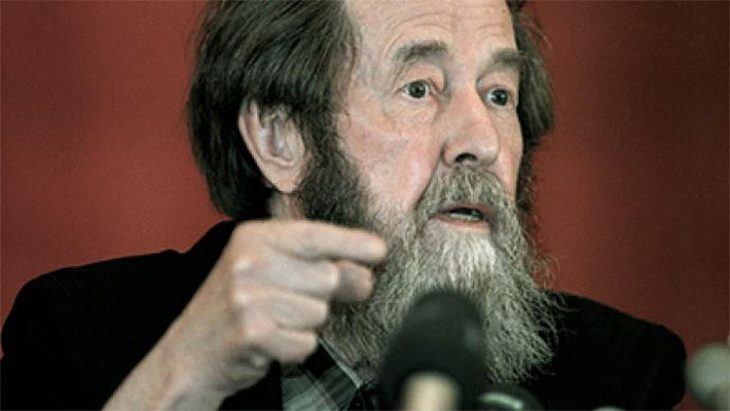 In the second part of this series on Aleksandr Solzhenitsyn on the danger of forgetting God, we’ll look at the speech he made that stunned the Western World. 1) Aleksandr Solzhenitsyn, One Day in the Life of Ivan Denisovich, (New York, NY: Penguin Books, 1963). 2) Aleksandr Solzhenitsyn, Cancer Ward, (New York,NY: Dial Press, 1968). 3) Max Hayward and Edward L. Crowley, eds., Soviet Literature in the Sixties (London: Methuen Books, 1965), page 191. 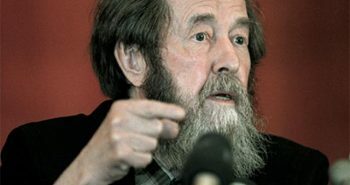 4) Wikipedia, Aleksandr Solzhenitsyn, https://en.wikipedia.org/wiki/Aleksandr_Solzhenitsyn, page 11. 6) Aleksandr Solzhenitsyn, The Gulag Archipelago (Paris, France: Éditions du Seuil , 1973 in Russian). First English publication in 1974 by Harper & Row in New York, NY. 7) The Economist magazine, “Alexander Solzhenitsyn: Speaking truth to power,” April 7, 2008, http://www.economist.com/node/11885318, page 1.